Now with a young baby of her own, Anna misses her mother more than ever and starts to ask questions about her parents’ deaths. But by digging up the past, is she putting her future in danger? I love Clare’s books the way they are written and how they grab you from the very first page all the way to the last and leaving you wanting more all the time. I always have a book hang over after Clare’s books and it takes me a while to get into another book because I’m always oping that the next book is as good as Clare’s books. i have never been disappointed. Her second psychological thriller, I See You, was a number 1 Sunday Times bestseller and Audibles best selling psychological thriller in 2016. Translation rights have been sold to almost 30 countries. What would you do if you had a card posted through the door telling you that your parents suicide wasn’t an accident. Would you do everything in your power to find out the truth but was scared to find the truth out and really wished that your life had turned out differently and that your parents was still alive. That i what Anna has been wishing for all the way through her pregnancy all she wanted was her mother around to tell her what to expect and be he support she wanted. Never did she believe what happened next and how her parents life was really like and what really happened. Would Anna be able to carry on facing the truth and would she ever have her happy ever after. I wont say any more on this book as i really don’t want to give to much away but this was a 5 star book for me. What would you do if you was in Tommy shoe’s would you be like he was or would you want to be a better person. I loved Tommy and how he dealt with things and how he wanted to be with his family his mother was all he wanted and his sister’s but when that wasn’t going to happen he made his life as best as he could. Was he expecting things to go like they did in and out off care homes because of his uncle and Tommy thinking he had killed him. Did he expect to meet scratch aka Kim regan and then throw her away when the darlings turned up and showed him the love and joys of family life. Did he expect to through his all into the darlings and then be forced to marry the daughter of the darlings who he thought he loved but when scratch returns back in his live him not realising she’s now police and is determined to take the darlings down. This was my first book by Amy and I did like it but the end of the book was a bit disappointing I was expecting a big finish but I was left feeling deflated and not sure what had happened. So when Sam started to write to Denise in prison who is on death Row for murder who everyone believes is innocent and is fighting to prove that he had nothing to do with any off the girls that have gone missing when he was a teenager. After visiting Denise Sam falls for him and decides to stay while Denise’s associate Carrie finds a loop whole in the case files. They get married in jail while the case is on going and once Denise is out and back in his old house after his dad died Sam is left wondering why is he so quick to clear the place and leave. So she does some digging and to her surprise she finds the truth but is shocked as to why they did what they did. But what I don’t get the ending I was expecting to have a bit more excitement and make you want more of the story with a bit more excitement. This would be about 4 stars out of 5 just because of the ending. 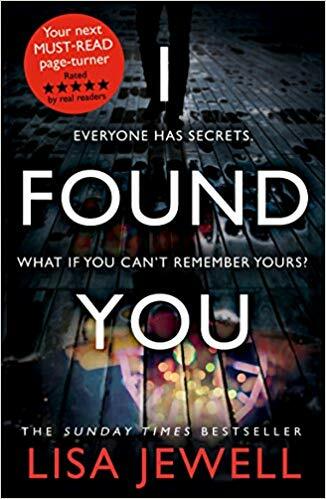 I really enjoyed this one even more than the first book in series when people start going missing again DS Etta Fitzroy has a job to find out if they have a copy cat or if the real culprit behind bars. Hoping to be able to give the parents of Clara Foley some closer and hoping to be able to find her alive or not DS Fitzroy works round the clock to bring justice for everyone. Jakey firth is one determined boy who even though hes scared he wants to find Clara as well. I love how this book is written and how the author can draw you in from the very first page i was disappointed when it ended and i had to find a different book to read. I will be rating this one a 5 star rating and will defiantly recommending this book and author to others. I’m not going to say to much as i know i will give the story away for others but go grab a copy now you certainly wont be disappointed. Fiona was selected for McDermid’s prestigious New Blood panel at the 2017 Theakston Old Peculier Crime Writing Festival, where her novel was nominated for a Dead Good Reader Award for Most Exceptional Debut. Rattle is now being adapted into a six-part TV series by the producers of Golden Globe-nominated Miss Sloane. 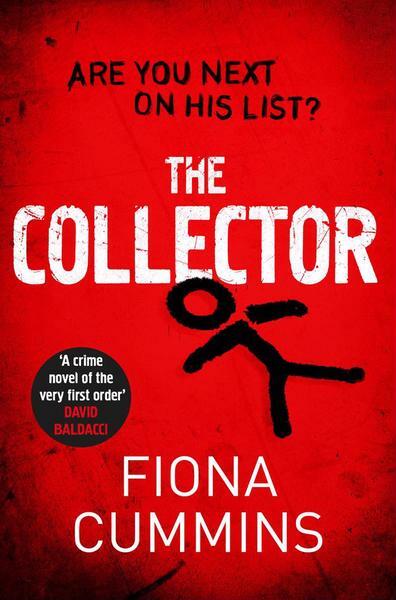 A sequel, The Collector, was published in February 2018 and David Baldacci described it as ‘A crime novel of the very first order’. Her third novel – standalone thriller The Neighbour – will be published in April 2019. When Fiona is not writing, she can be found on Twitter, eating biscuits or walking her dog. She lives in Essex with her family. This was my second book by Angela and I have to say I love her books every time I pick one up and i was struggling to find a book to read before i started this and I’m glad i chose to read this after loads of recommendations off other book readers and authors. When I started reading this one i wondered what Kim would do and managed having to try not to open them doors she keeps tightly fastened to protect herself from her past just so she can do her job but what happens when someone knows your past and uses it to try and control things around you. 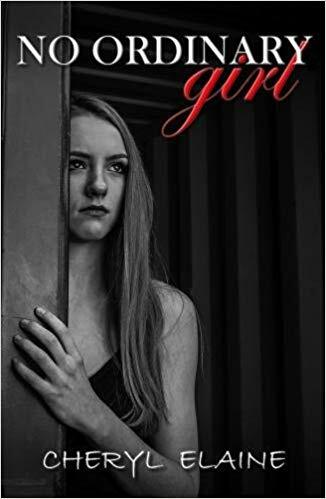 When the victims kill the perpetrator all because they have been manipulated by someone in a profession can Kim find the evidence or what she believes is happening or would she fall flat on her faces with the gates to her past wide open. 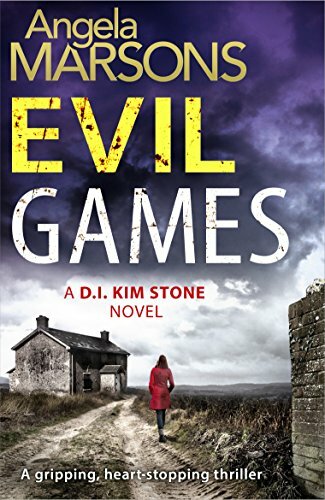 I’m not going to say to much on this book as it speaks volumes from the first pages on this book and the first one in the serious of the Kim Stone books. This is another 5 star book from me it took me about a week to finish this and I’m hoping the next one will take me less time to read. I Found You By Lisa Jewell. This author always knows how to grab you from the first page all the way to the last page and i have thoroughly enjoy all off her books. I like her writing style and how she just knows how to put it that you wont want to put the book down. I have always thought i wouldn’t find another book of Lisa’s as good as i her others till i read this one she really does a good job in writing these stories wish i had found her books earlier in my life. When Alice spots a bloke sat on the beach soaking wet she realises he has been there for a really long time and must be cold and is soaked to the skin so after debating whether or not to go and give him a coat to keep him warm she takes her dogs for a walk on the beach and gives the bloke a coat to realise he couldn’t remember anything not even his name. So Alice being Alice decided to take him back to hers and let him sleep in a shed in the garden what she rents out to others who needs it. But she wasn’t expecting him to wake up next morning to his name but was sure after a few days he would go to police for help. She wasn’t expecting to find out that he had been in that part of the country before and what had happened while he was there. But did she really expect to find the man she would then want to spend rest of her life with you never know. I’m not going to say to much as then i would give the story away for guys as there is more in this story than i have mentioned i would highly recommend it to you guys its a high 5 stars from me and more if i could give it more. After a day in the countryside with his wife, Katy, and their two kids, doting father Adam Parr wants nothing more than to get home for a roast dinner and a cold beer. But when a speeding silver car cuts him up on the drive back, nearly causing him to crash, he can’t help but pull over and give the driver a piece of his mind. His kids could’ve been killed. And then he sees a struggling woman in the back seat, her eyes pleading for help, and he realises he and his family are in terrible danger. In the blink of an eye, their ordinary lives have been plunged into an unimaginable nightmare. Can Adam find the strength, intelligence and bravery to keep his family safe? This is one author I would be happy to meet and one author I would recommend to all the other book people. I had heard some good stuff about tom’s books and I was wondering what all the bloody fuss was about and oh my god I was in for a treat tom knows how to grab you from the minute you open the book I mean would you go after someone if they cut you up and a stone smashed your lights on car while you had your family in the car as well. This is what I loved about the book and how Adam would do anything to protect your family. So after a nice day out at the countryside with his kids and his wife Katy, Adam was driving home thinking of the nice lovely roast they was planning on having but to his shock and surprise they never got to their roast thanks to being cut up and a stone hit their car and Adam saw red and went for the driver. Not thinking it would lead to them all being kidnapped and held in a cellar fighting to escape. Who knew it was all because off some bloke who thinks hes the bees knees. I loved how this book does grab you from the first page all the way to the last page leaving you wanting more and more. I love how the chapters wasn’t so long and you still get the full story in them. I love how tom made you sit and want to go save them yourself or shout at Adam not to be silly it was just a stone no harm done. This book was sent to me by Cheryl for me months ago for an honest review and with having kids to sort and a disabled partner to sort it took me a while to get round to read it and I’m just sorry that it took me so long to read it if i knew it was going to be that good then i would have started it sooner. This book is written in a way to keep you reading as you want to find out what is happening in the story. The chapters was small which i liked more but told the story well some of the story is a bit graphic but i think that is what made you keep reading to see what and how it ending and if it would be a good ending or a bad ending. For me i didn’t want it to end as would have liked to see more off Aimee and Kelly and if they are still friends and doing what they was doing. I cant say much of the story as i would think that i would giveaway the plot but for me i would give it a 5 star review and would recommend this one to others as its not one to pass on if you don’t mind a little bit graphic content then its a book for you but if you cant then i wouldn’t recommend you read this one. 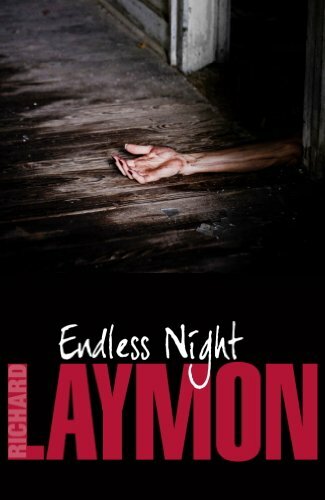 Endless Night is a terrifying journey into evil from horror master, Richard Laymon. Perfect for fans of Stephen King and Dean Koontz. So this was my very first book by Richard and I’m quite happy to say it wont be my last one either. I had never heard of Richard’s books before but someone in lovers of horror group suggested to try with one of Richard’s books and this one was on offer as I’m a person that if i never heard of an author i would go for the sample first then buy the book first on my kindle and I’m quite happy to say i did enjoy it all the way through and have gone onto buying some of his other books as well. This book was written just how i like it from the murderer’s point of view and the victim’s view as well. its not one that goes round the houses its straight to the point and explains all what is happening and why they are doing what they do. I find the writing from Jody’s view good and it really grabs you and makes you want to go and help her and Andy to get away from Simon. 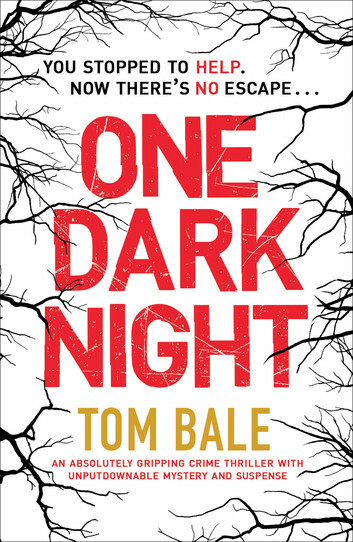 Love the gruesomeness of the book and how they would dispose of the bodies and how they would change themselves so nobody would notice them especially if some victims got away from them and how they would target anyone and everyone it didn’t matter who they went for and where they went for them. I found Simon interesting and how he would record everything he did just so if anyone found the tapes and that then they would understand why and how it all started. And how he was the one who the others would boss around and make him feel that he shouldn’t be in the gang.